Unsurprisingly, the idea of reusing goods – extending their lives by trading used or refurbished items and thereby reducing energy use (compared to the manufacturing process of a new item), waste and most importantly, costs – is very much a theme of recessionary times. Two opportunities in particular are opening up to investors (and they will be the focus of our next conference ‘Investing in Remanufacturing and Recommerce’ in London on March 9). Recommerce is the increasing trend among consumers and businesses to trade used items for new or used goods, spend less and be more environmentally responsible. Regionally-focused, online trading houses with slick, easy-to-use websites offering good-as-new goods and instant credit or cash are making the most of the limited purchasing power of corporates and consumers. They buy used items, quality approve them, repackage them and sell them on – with a warranty. The speed and reliability of the service and products, compared with alternatives such as ebay, mean their fast building a fan base. ReBuy is a high growth German company doing exactly this. It says the recession has actually had a positive effect on business and it’s looking to expand by adding more categories to its list which includes phones, video games and books. Gazelle, ReBuy’s US counterpart, got $22 million in a series D round from a syndicate which included Craton Equity Partners Physic Ventures, Venrock Associates and RockPort Capital. The second opportunity – remanufacturing – is when a product at end-of-life is refurbished and returned to like-new (with a warranty to match). Remanufacturing is not to be confused with recycling, which refers to completely disassembling or breaking down an item into its various materials or components which are then separated and sold on to be used in the manufacture of new products. Nor is it a new concept. Caterpillar, possibly the world’s largest remanufacturer, has been doing it for decades and increasing its capabilities as new generations of products reach end of life. 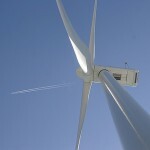 One example being its recently signed deal with Vestas to refurbish wind turbines. The benefits of remanufacturing can be huge, but they depend heavily on the product being considered for remanufacture. While a remanufactured item may have consumed much less energy (during remanufacturing) and produced less waste than a new one, the energy it consumes during its useful life is also a critical factor in assessing the case for remanufacture. A new item with energy efficient technology may consume a lot less energy during its useful life than an old – though remanufactured model, thereby cancelling out any energy savings gained from remanufacturing. This is key to establishing whether remanufacturing services and technologies should be applied to new industries and whether they can be successfully maintained in others. In the UK remanufacturing is a £5 billion dollar industry according to Oakdene Hollins which runs the UK Centre for Remanufacturing and Reuse. There are hundreds of companies providing services across the country – some, such as Infoteam, for big name clients like Apple and Sony. Infoteam repairs electronic equipment that has been returned by customers to retailers or manufacturers. It was named the fastest growing company in the Southwest in October. Cisco has also now caught onto the opportunity and is investigating new product offerings that realise the benefits of remanufacturing. In the US. Kleiner Perkins Caulfield & Byers thinks it’s onto a winner with eRecyclingcorp having led a $35m round in December. The company combines innovative software with remanufacturing capabilities to take second hand mobile phones from the developed world to feed emerging markets’ hunger for cheap phones. The software is integrated with mobile phone manufacturers’ point of sale software allowing consumers to receive store credit if they hand in their old phone when buying a new one. The credit can be then against the purchase of the new phone. The old one is then passed to erecyclingcorp to work its magic. The London Environmental Investment Forum will be holding its ‘Investing in Remanufacturing & Recommerce’ conference on 9 March 2012 which will explore this topic in more depth through industry insight and discussions with leaders and innovators. If you’re interested in speaking at or sponsoring this event, please contact us. Find out more about LEIF at www.london-eif.com. Article by Tom Whitehouse. Tom is the Chairman of the London Environmental Investment Forum (LEIF), a conference platform which connects environmental innovation with capital, and the Founder and CEO of LEIF’s Initiating Partner, Carbon International, a corporate finance and investor communications consultancy for environmental and cleantech industries.